The HKonJ march for love occurs annually the weekend of Valentine’s Day. More than anything it is a peaceful demonstration devoid of political party promotions. It is a massive gathering of numerous organizations that come together to stand united for their causes but with the overall goal of promoting social and economic justice. Some of the causes represented include environmental protection, immigrant’s rights, voting rights, women’s rights, prison and police reform, criminal justice system reform, better pay and treatment of teachers, and equal protection under the law. There are speakers from different organizations such as the NAACP, immigrants that share personal stories of injustices they have experienced in the US but specifically in North Carolina, and others who speak about the importance of voting and encouraging others to vote, as well as a group known as the Raging Grannies who sing songs meant to admonish injustice while promoting positive changes. One of the most powerful phrases exclaimed throughout the march is “Forward together, not one step back.” The belief is that through understanding, awareness, and unity we can all move forward toward progression instead of taking steps backwards that undo the positive changes that have taken place. This is my second year participating in the march. Last year my mother and I marched with Planned Parenthood with fellow Meredith College professors and students. This year, I marched with some of my Meredith College Social Work Club members and a fellow NASW-NC Student Liaison, Michelle. I strongly believe in each of the social and economic injustice issues represented. As an African American woman, I always felt called to speak out against injustices having had grandparents that overcame racial injustices and segregation and a mother who participated in lunch counter sit-ins and endured the horrors of being a person of color to attend one of the first schools in this area to integrate. When I’m in the crowd marching with so many people, I feel connected to each of them because we have all gathered out of love and a fervent belief in the power of change. This passion courses through the crowd like electricity powering us to focus on more than the physical feeling of cold our bodies endure as we gather during the early morning. Standing among so many empowered people reminds me of why I chose to become a Social Worker, so I proudly wore my NASW-NC Social Worker pin. It is a beautiful way to see that our society is filled with people who are compassionate about others and illustrate the ability to unite to promote solutions for overcoming challenges. I will continue to participate in the KHonJ march and continue to encourage others to participate. 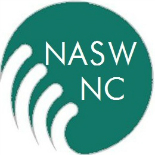 Learn more about the NASW-NC Student Liaison Program. This entry was posted on February 16, 2016 by naswnc in Blog Posts by Topic, Membership and tagged Advocacy, leadership, macro social work, Medicaid, mental health, NASW, NASW-NC, National Association of Social Workers, nc social work, NCGA, North Carolina, social work, social work north carolina, social workers.